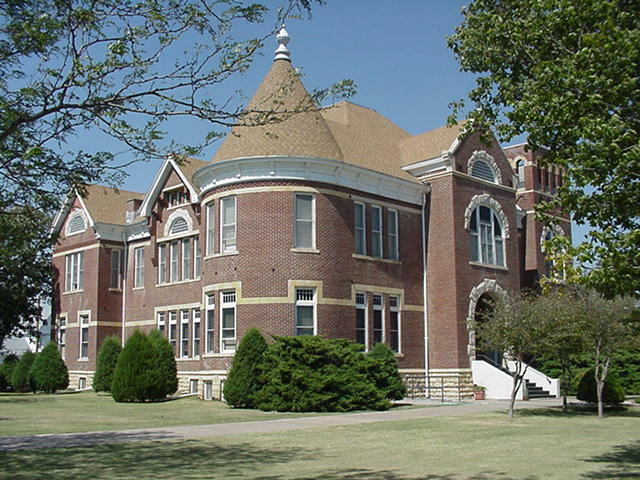 Rush County is located in west central Kansas and is home to 3300 residents. The county is comprised of 718 square miles. 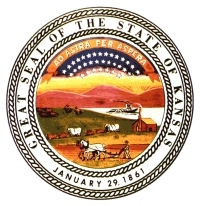 Rush County was surveyed in 1867 and organized on December 5, 1874 by Kansas Governor Thomas Osborn. The county was named in honor of Captain Alexander Rush, Company H of the 2nd Kansas Colored Infantry. P.C. Dixon filed the first claim in Rush County and settled on the banks of the Walnut Creek near present day Rush Center in 1870 receiving his grant from the land office in Salina in 1871. The first deed in Rush County was recorded in March 1875. 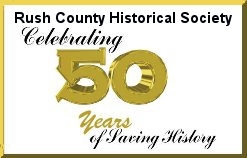 Walnut City was designated as the county seat and the city's name was changed to Rush Center. Within two years the county was re-surveyed and the southern tier of townships was given to neighboring Pawnee County in 1876. This changed the center of the county from Rush Center to LaCrosse. A conflict arose between the two towns when the county records were moved to LaCrosse as the intended county seat. The records were moved back and forth by wagon, amidst threats and gunfire, for years. However, no one was killed. LaCrosse was finally declared the permanent county seat and the present courthouse was erected in 1888. In the 1880 census the 5,490 citizens of Rush County were well-educated, well-bred, young people who came from throughout the United States(4,275), Great Britain(133), Germany(178), Austria(72), Sweden(22), Bohemia(25), Canada(22), and Russia (763). There were 35 types of occupations listed, including 1,145 farmers, and one shipbuilder. Rush County was settled primarily by "persons of quality" who enriched this new frontier with their cultures.